on both sides and a machined centering ring. 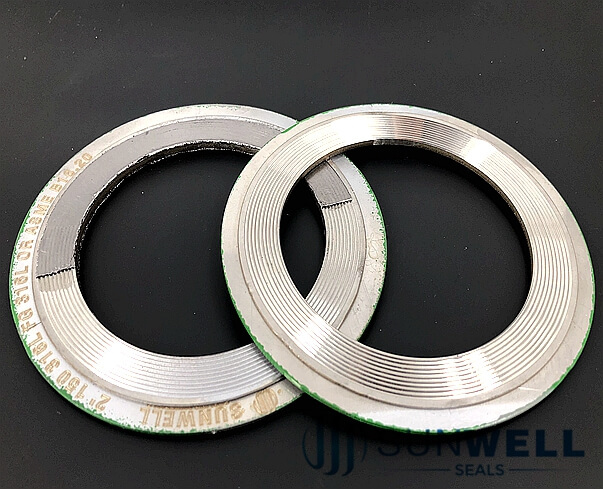 Gasket with soft sealing layer both sealing surface. >Coating materials: Graphite, PTFE, Mica, etc. 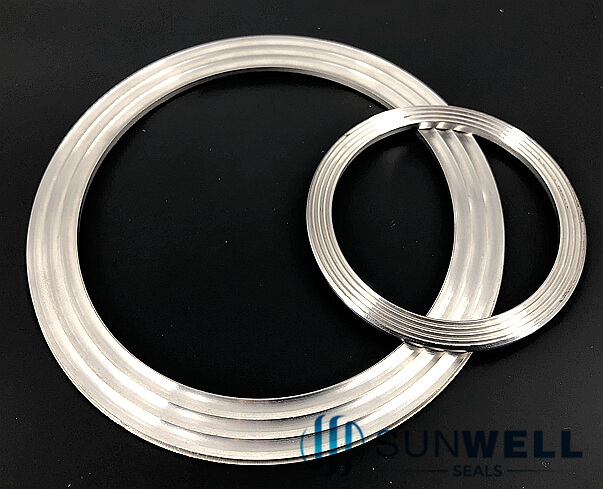 SUNWELL Convex Type of Kammprofile Gasket is design for where the main sealing faces of the serrated metal core are slightly convex in profile. 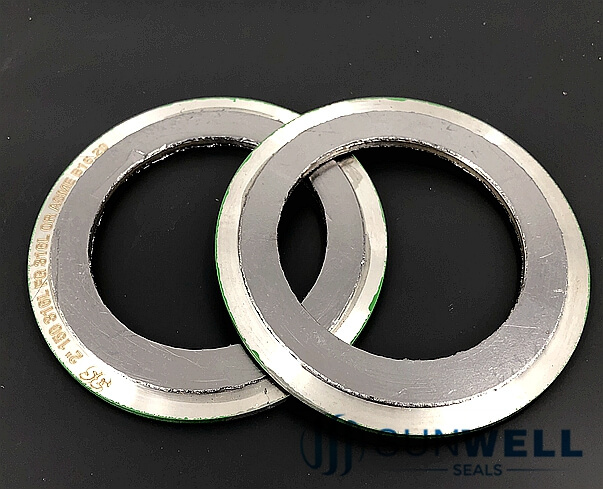 The convex core helps compensate when flange rotation is experienced on bolt up of weaker flanges.